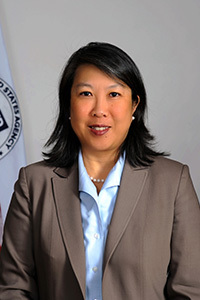 Carol Chan serves as the Acting Director of USAID’s Office of U.S. Foreign Disaster Assistance (OFDA), the lead federal office responsible for coordinating the U.S. government’s response to international disasters. As Acting Director, Ms. Chan leads a global staff of approximately 430 people and oversees annual resources of more than $2 billion. With a mandate to save lives, alleviate human suffering, and reduce the social and economic impact of disasters, OFDA monitors, mitigates, and responds to global hazards and humanitarian needs as they arise. In fiscal year 2017, OFDA responded to 56 disasters in 51 countries, including an earthquake in Mexico, Hurricanes Irma and Maria in the Caribbean, food insecurity in the Horn of Africa and Lake Chad Basin, and ongoing crises in Syria, Iraq, South Sudan, and Yemen. Ms. Chan joined OFDA in 1997, serving as the Office’s Deputy Director and the Division Chief for Program Support, where she managed the office’s budget, procurement, and information management resources. She has also led several major disaster response efforts for USAID in recent years, including responses to the Haiti earthquake, the Pakistan floods, and the Libya complex emergency, as well as the Agency’s first domestic response in the aftermath of Hurricane Katrina. Prior to working at OFDA, Ms. Chan was a contracts officer in USAID’s Office of Acquisition and Assistance, supporting development programs and providing contracting support to USAID missions. Ms. Chan has 26 years of USAID experience and spent several years working in the private sector in the freight forwarding and international banking industries in New York City. Ms. Chan was selected to join USAID’s Senior Executive Service in September 2009. She holds a Bachelor’s degree in East Asian studies with a minor in Business Administration from Wittenberg University. Jeff Joseph is president of SIIA – the principal trade association for the software and digital information industries. SIIA’s more than 700 members consist of software companies, data and analytics firms, information service companies, and digital publishers serving nearly every segment of society, including business, education, government, healthcare and consumers. Prior to joining SIIA, Joseph was founder and CEO of Starlight Public Affairs, a strategic communications firm advising an array of corporate and non-profit clients. Joseph also served as senior vice president of communications and strategic relationships for the Consumer Technology Association (CTA)™, the U.S. trade association representing more than 2,200 consumer technology companies. CTA owns and produces CES® – The Global Stage for Innovation. 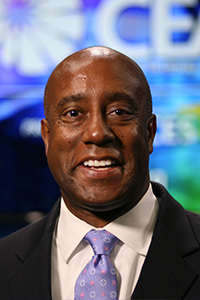 Joseph served six years as vice president of communications with BIO, the world’s largest biotechnology trade association. Previously, he spent eleven years at Ogilvy Public Relations Worldwide/Washington where he helped found the agency’s technology practice. He began his career in communications at the World Resources Institute, a non-profit policy research center in Washington, D.C., where he worked in media relations and legislative affairs. Joseph also has been involved in several political campaigns and worked as a media consultant and speechwriter for former Washington, D.C. Mayor Sharon Pratt Kelly. Joseph is frequently cited in publications including USA Today, New York Times, Los Angeles Times, Business Week, TWICE, Dealerscope and other top trade publications as well as in Associated Press and Bloomberg news stories. He has appeared on NBC Nightly News, CNN, CNNfn, CNBC, Fox News Channel, Cheddar and local television and radio stations across the nation. In his free time, Joseph finds joy in spending time with his wife Lisa and their two daughters. He also enjoys viewing and participating in sports, discovering new music, discussing politics, playing guitar, cooking, traveling and rooting for the Dallas Cowboys and the Princeton University Tigers and Georgetown University Hoyas men’s basketball teams. He is a founding member of a six-man semi-acoustic Dad’s rock band which received an Honorable Mention, Best Bands in Arlington, VA from Arlington Magazine. Joseph is a 1986 graduate of Princeton University where he received a bachelor’s degree in religion. Lara is the president and lead strategist of St. Louis-based agency, Pan Galactic Digital. She and her team of savvy marketers connect clients with their target audiences across the digital universe using the power of data. Lara plays a key role in strategy development for clients and oversees all business and operations of the agency. She particularly enjoys the foundational work of brand positioning and identity, as well as strategic planning and research. Previous to Pan Galactic, Lara managed a satellite office for a New York-based digital agency. She led a team of six on-site within the offices of the agency’s largest client, Nestlé Purina, in St. Louis. Her time spent in this role had a strong emphasis on social media and real-time content marketing on behalf of the corporate Purina brand. In addition to her years in digital marketing, Lara has run the gamut of traditional advertising, including TV, print, radio and outdoor. She has led the integration of multiple partner agencies’ work on behalf of clients, ranging from PR to media to event marketing. Prior to her career in marketing, Lara was a program officer for International Republican Institute, a nonprofit, nonpartisan organization committed to advancing freedom and democracy worldwide that is funded by USAID, the US State Department and the National Endowment for Democracy. Outside of the office, Lara enjoys spending time in nature with her family and cultivating her artistic interests. 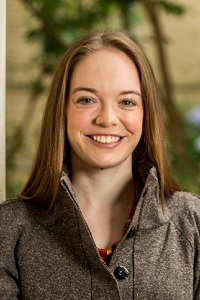 Erin Taylor is director of communications for humanitarian response at Save the Children, an international non-profit organization that works in the U.S. and 120 countries around the world to give children a healthy start in life, the opportunity to learn and protection from harm. Since its founding 100 years ago, Save the Children has changed the lives of more than 1 billion children. 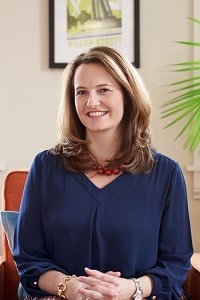 Before joining Save the Children, Erin served as director of communications at Georgetown University’s Berkley Center for Religion, Peace and World Affairs, deputy director of communications at the Carnegie Endowment for International Peace, spokesperson at the British Consulate in New York, and media analyst at the German Embassy in Washington, DC. Erin is an Alexander von Humboldt German Chancellor Fellow and received her B.A. in international affairs at The George Washington University and M.S. in Foreign Service from Georgetown University. In her free time, Erin enjoys spending time with her family, cooking, exploring Washington, and travelling. Kim Van Syoc is executive director of the Banfield Foundation, the charitable arm of Banfield Pet Hospital, the largest general veterinary practice in the world. Under Kim’s leadership, since its launch in 2015, the Banfield Foundation has awarded more than $6 million in grants and improved the health, safety and wellbeing of more than 2 million pets in all 50 states, Washington, D.C., Puerto Rico and Guam. Kim also helped launch, and currently serves as president of, the Banfield Better Together Fund, which empowers Banfield associates to support one another with critical financial assistance in the event of natural or manmade disasters. Kim joined Banfield Pet Hospital in 2009 after spending more than 12 years working in public relations. Prior to her role at the Banfield Foundation, Kim served as Banfield’s director of external communications, overseeing public relations, crisis communications, stakeholder engagement and Corporate Social Responsibility. Kim’s achievements include the creation and management of the annual State of Pet Health Report, the largest report of its kind, now in its eighth year. 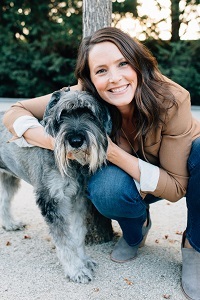 She has also been instrumental in elevating the importance of pets when it comes to disaster relief and preparation, spearheading efforts with Banfield Pet Hospital and the Banfield Foundation to raise awareness and provide direct financial assistance to impacted communities and pets. Kim was listed in 2017 as one of PR News’ “Top Women in PR,” and her efforts have received numerous awards and recognitions, including PR News Platinum PR Awards, PR Week Awards, PRSA-NY Big Apple Awards, Mars Petcare Leaders Choice Awards, and two Mars Make the Difference Global Awards. Kim serves on the Board of Trustees for the Oregon Zoo Foundation and on the Tourism Advisory Board for the City of Lake Oswego, Oregon.